The Inspector Munro series by Pete Brassett is an enjoyable set of stories about an aging police detective in the west of Scotland, and the young female detective he mentors, “Charlie” West. 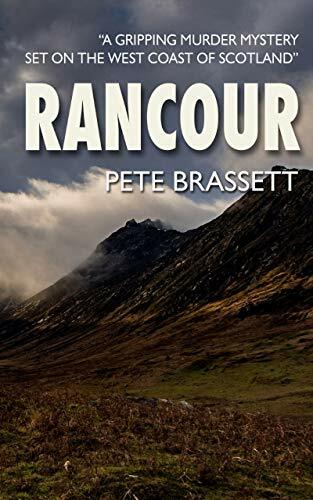 I’ve reviewed the previous books, and here’s the new one, Rancour. On the Arran islands, a young girl goes climbing on high Goat Fell on a winter night, and is found the next day frozen to death. When her companions, who turned back, are asked why they didn’t stop her, they say the girl was determined. Soon after, another girl is found dead on the mainland, while a school friend is found unconscious. All three girls have been drugged. Suspicions center on an Italian man of questionable morals and business ethics, who recently moved to the area and has cut a swathe through the ladies. But looking into his life, and the girls’, brings up a lot of other questions, and the investigation grows quite complex. Inspector West is leading the squad now, since Munro is retired, but he’s keeping his hand in and gently guiding – while trying to remodel his cottage and decide how to handle a question of his own health. It all turned out in ways that surprised me. I enjoyed spending time with my old friends Munro and West, and recommend Rancour, as well as the rest of the series.